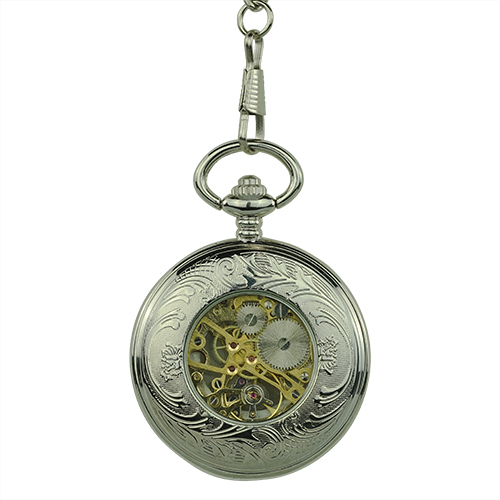 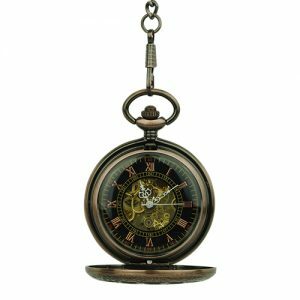 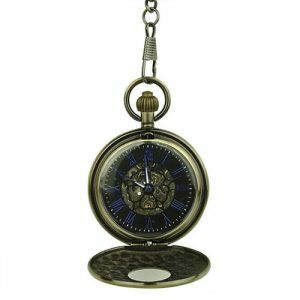 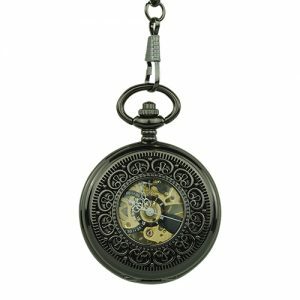 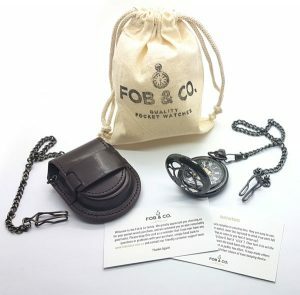 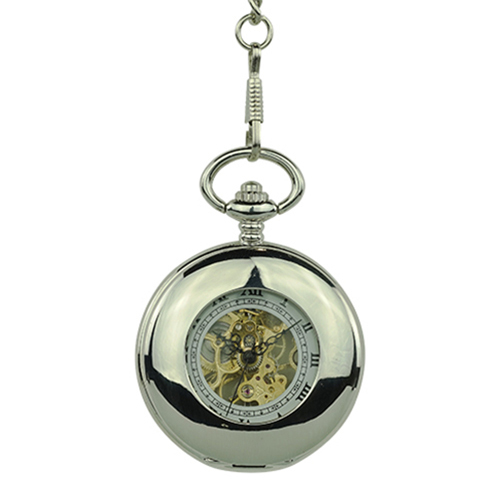 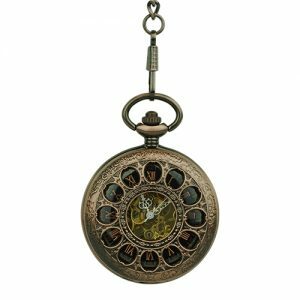 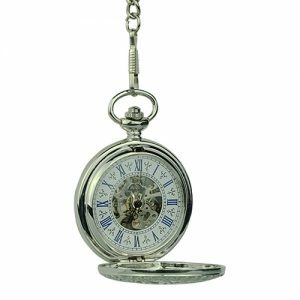 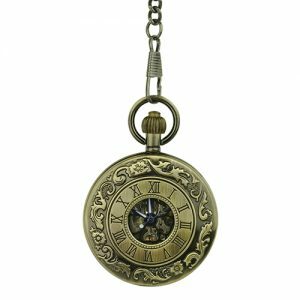 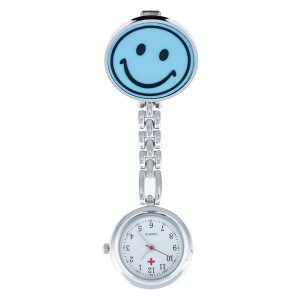 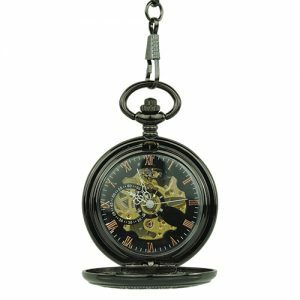 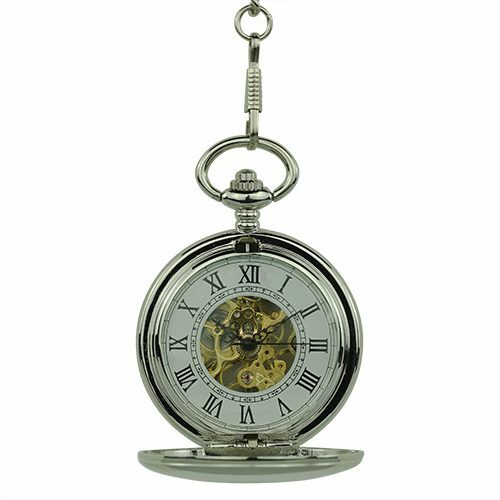 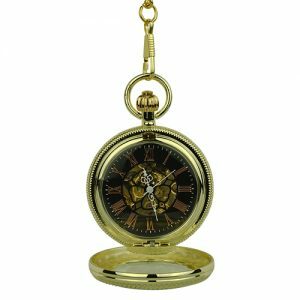 Ultra-Glossy Half Hunter Pocket Watch - Fob & Co.
Love the pocket watch look but want something a little more streamlined? 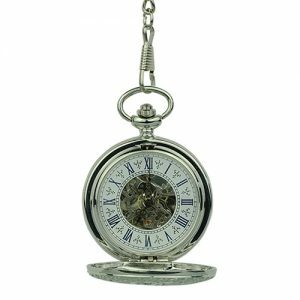 This contemporary timepiece is crafted with a front frame that features a polished, silver finish with a see-through window. 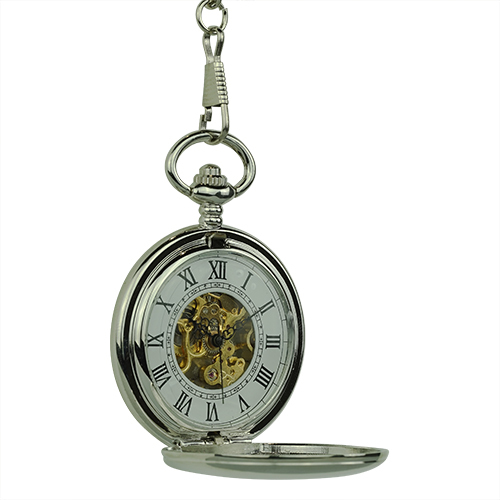 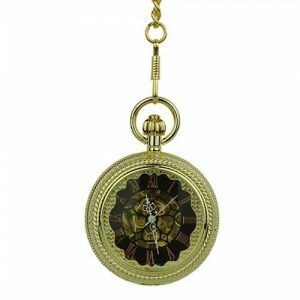 A peek inside reveals black Roman numerals on a bright white background, all highlighted by a shining, golden skeleton. 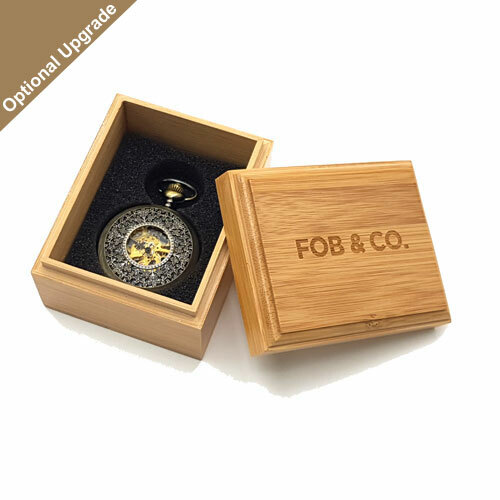 The back cover is finished with flowers, vines, and a generous crystal window for viewing the inner works.